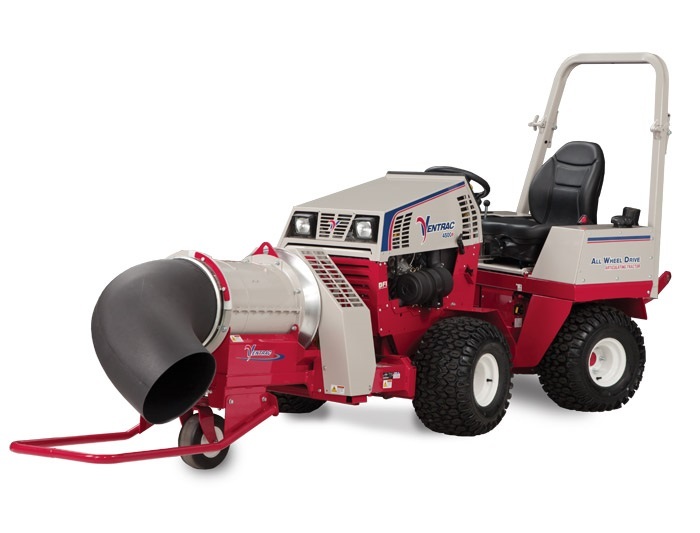 The ET200 Turbine Style Blower’s powerful front discharge nozzle can be hydraulically rotated 360 degrees from the comfort of the operator’s seat. The front bumper protects the nozzle from damage. Power and control allow you to move through your clean up work simply, quietly, and efficiently.